Tweed Valley Women's Service recently sourced funding from The Alannah and Madeline Foundation to cover the costs of a Sing&Grow program for children and their families affected by violence. 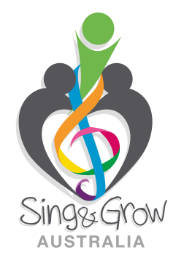 An article then appeared in the Foundation's Newsletter - a great example of what can be achieved by collaboration between funders, host organisations and Sing&Grow. To see the whole newsletter, click here.